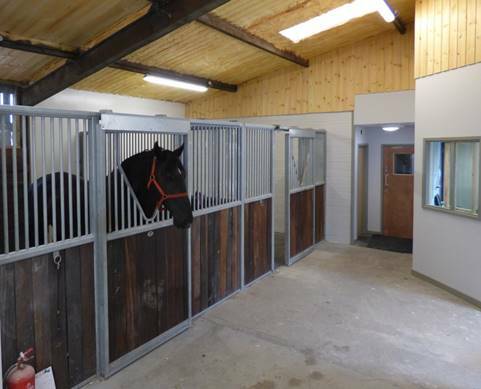 Stables – we have 3 large, light and airy stables for day treatments or more long term hospitalisation of patients. Our equine scales weigh up to 1,000kg taking any guess work out of knowing your horses weight. Currently we do not charge clients to weigh their horses just give us a call so we know to expect you if you would like to use the scales. 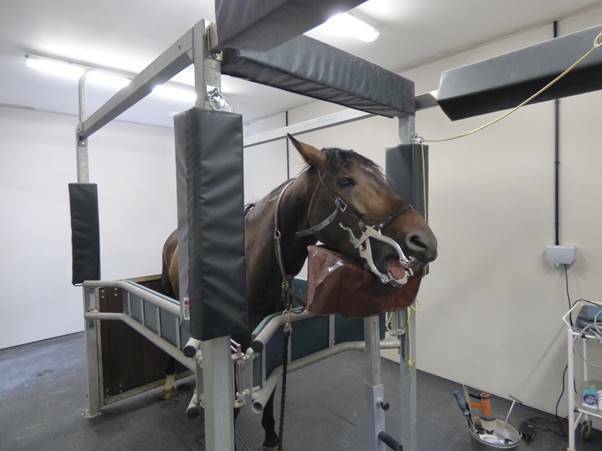 Our Padded anaesthetic induction box allows safe general anaesthesia of our equine patients. The horse is then moved onto our surgical table by electronic hoist, providing a safe and sterile environment for surgical procedures. The 2 rubber floored treatment rooms provides a perfect environment for taking X rays, administering treatments or performing nerve/joint blocks. 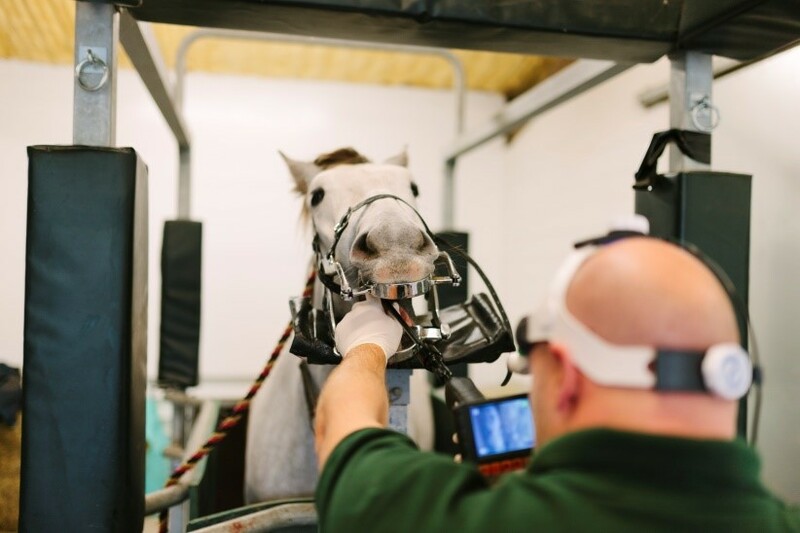 The stocks can be used to confine or support a horse during standing sedation procedures including advanced dentistry, endoscopy, gastroscopy, and dorsal spinous process surgery. Our equine department at Summerleaze farm, Kilmington offer faecal worm egg counts. This can provide up to date information about the parasite status of horses and pasture allowing targeting worming advice to be given. There are an enormous number of products on the market to boost your horses’ health. Sadly many do not live up to expectations they contain poor quality ingredients at lower than declared levels. This has prompted us to introduce our own range of equine supplements. These have been made for us using high quality ingredients and we are confident that they work!